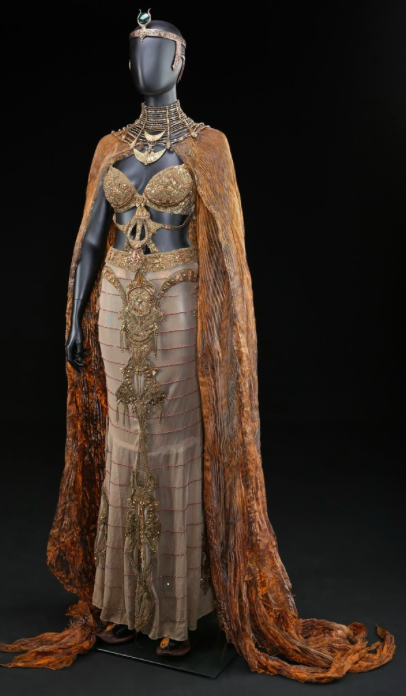 In partnership with Summit Entertainment, Prop Store are presenting an online auction of 300 lots of original props and costumes used in the making of 2016 film Gods of Egypt. The film, directed by Alex Proyas (I, Robot) stars Gerad Butlet, Geoffrey Rush and Nikolaj Coster-Waldau of Games of Thrones. The fantasy action film tells the story of Set, played by Butler, the god of darkness who sends Egypt into chaos and conflict. 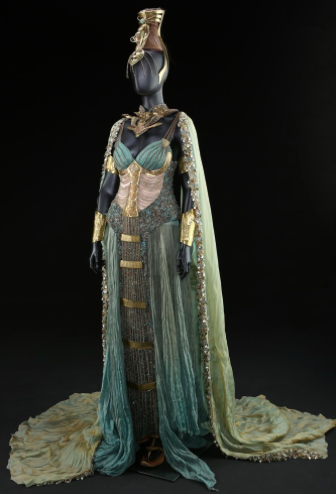 We explore the costumes worn by the actors portraying female deities. 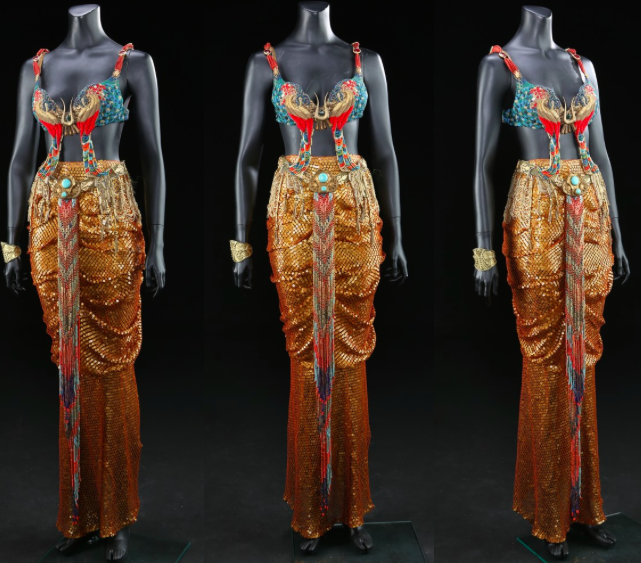 Fine dresses, crowns, ornamental wear make up the wardrobes of the goddesses. 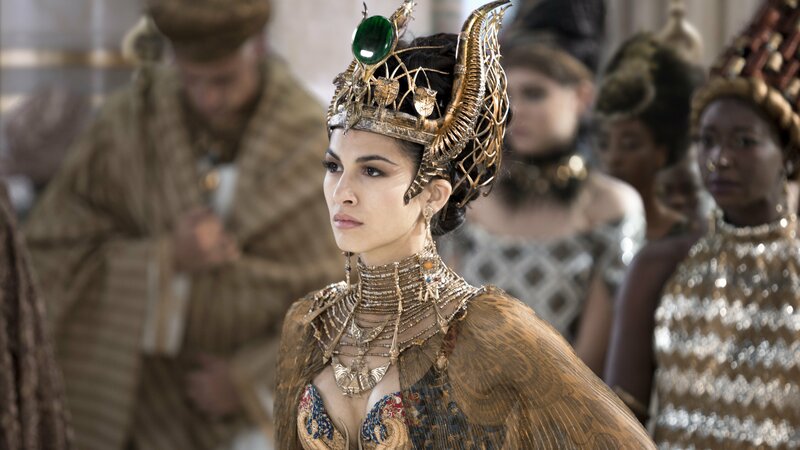 The role of Hathor, The Goddess of Love, was portrayed by French actress Élodie Yung. 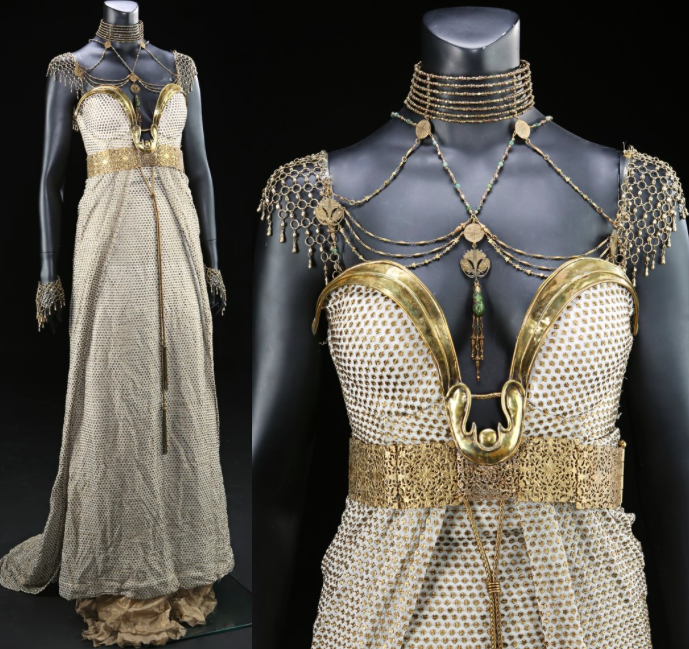 This gold two piece was worn by Hathor when she greets soon-to-be King Horus, God of Air, played by Nikolaj Coster-Waldau, on the morning of this coronation. After Egypt falls under the rule of Set, the goddess Hathor, acted Set's lover before leaving him for Horus in order to help him win the throne. Her change of alliance is mirrored in her dress, from bright reds and blues to more a muted, earthy palette. 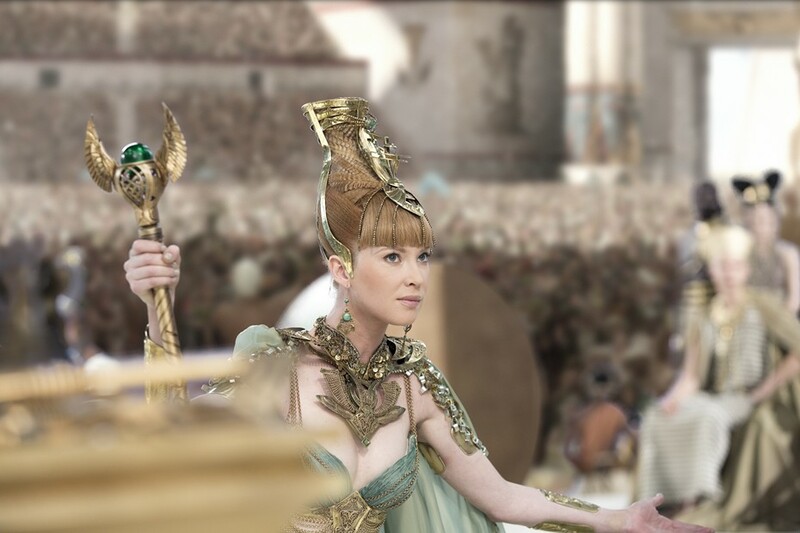 For Horus' coronation, Nephthys, The Goddess of Protection, played by Emma Booth. The majestic cape represents the wings that Nephthys has in her divine state. 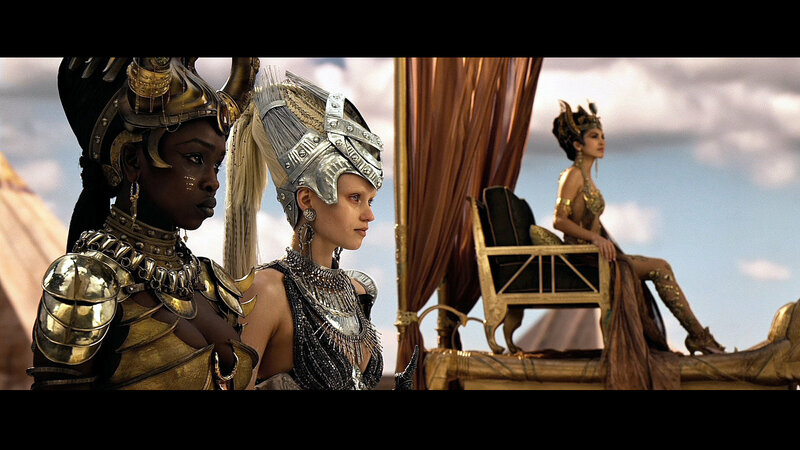 Astarte, portrayed by Yaya Deng, Asarte is ordered by the King Set to capture Horus, who threatens the King's throne. 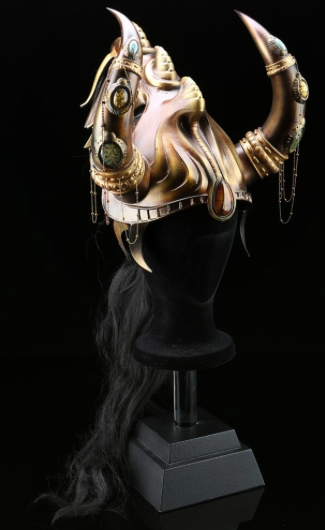 Ready for battle, Asarte wears a helmet with horns, a pony tails of jet black hair at the back and finished with stones and ornamental chains. 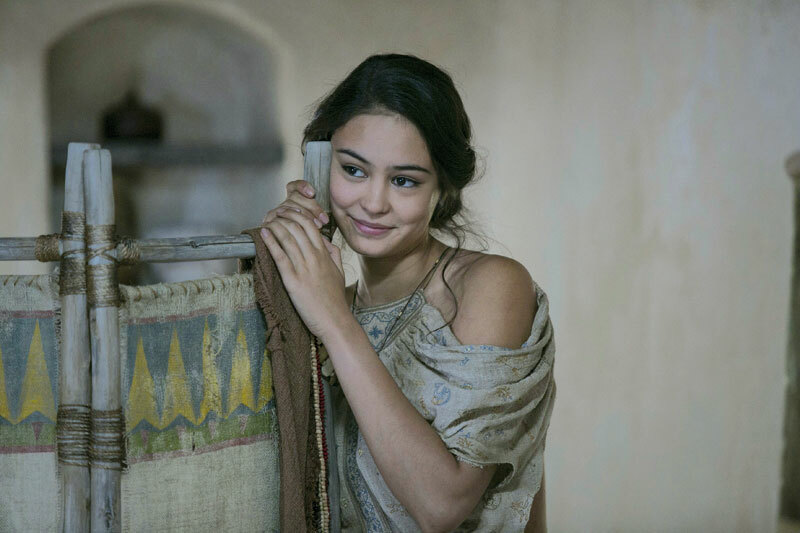 Courtney Eaton (Mad Max: Fury Road) portrays Zaya, the lover of Bek, a young thief who allies with Horus. She attends two coronations in the film. Zaya is taken to the underworld, until she is rescued when Horus is crowned king. To attend his coronation, she wears white dress with gold polka dots and an elaborate collar decoration. The online auction will run on Prop Store until 26th January, 2018. Check out more here.